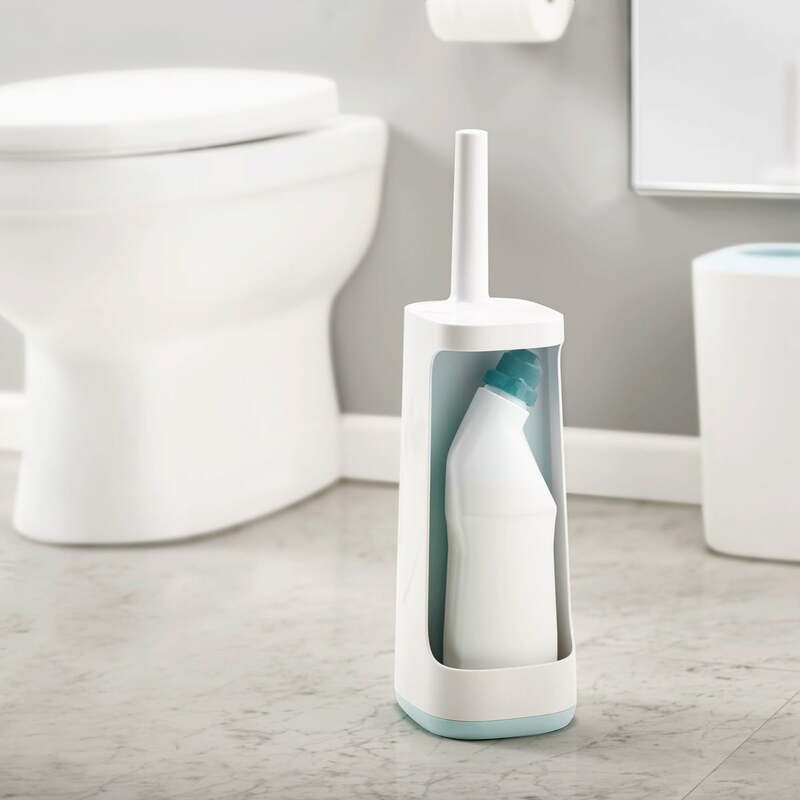 The Flex smart toilet brush by Joseph Joseph is a revolutionary bathroom accessory that effectively and hygienically cleans the toilet with its unique and flexible brush head. Unlike conventional toilet brushes with which you can struggle to reach some areas of the toilet and show signs of wear, the FlexSmart brush has practical functions that solve these problems. 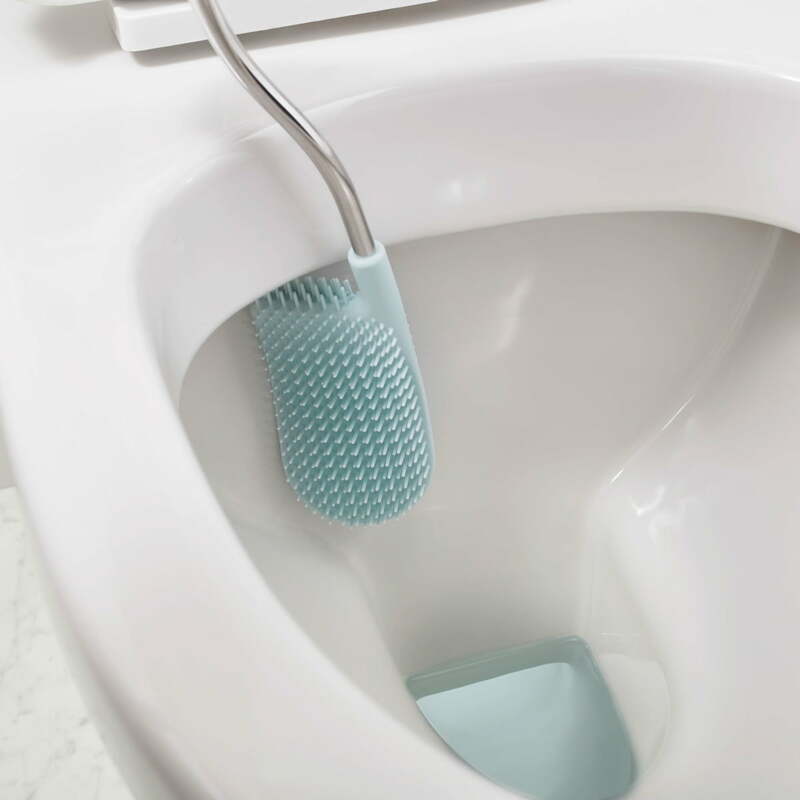 Thanks to the flexible, D-shaped head and fine bristles, the hard-to-reach parts of the toilet bowl are now easily cleaned with the brush. 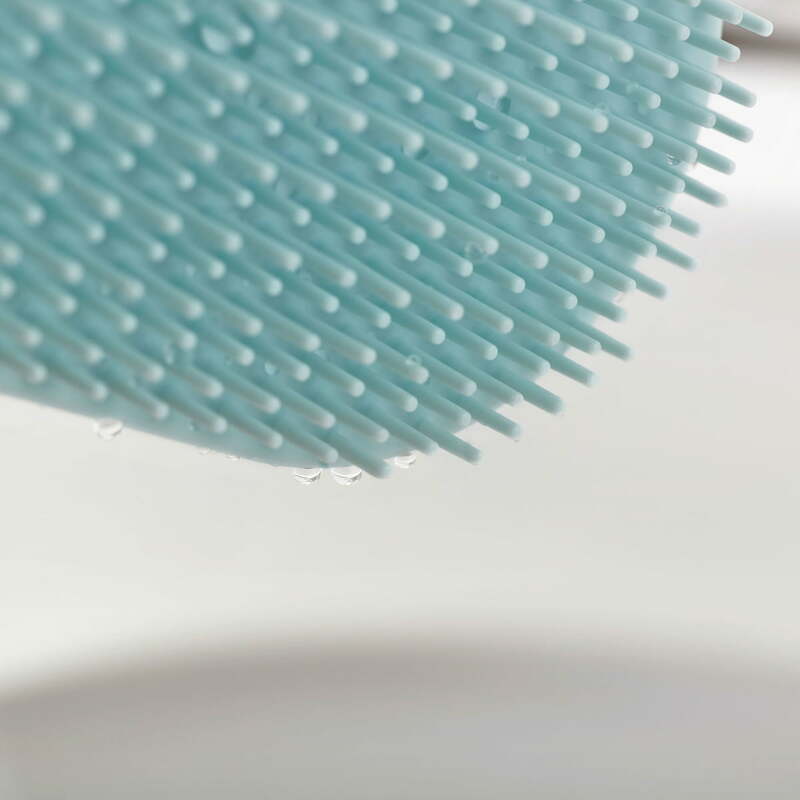 No dirt on the head remains back through the short bristles and excess fluid to drain easily, preventing annoying drops between the use and storage. The Flex smart toilet brush is available in two different versions, one of the models featuring an integrated compartment at the back for cleaning agents. 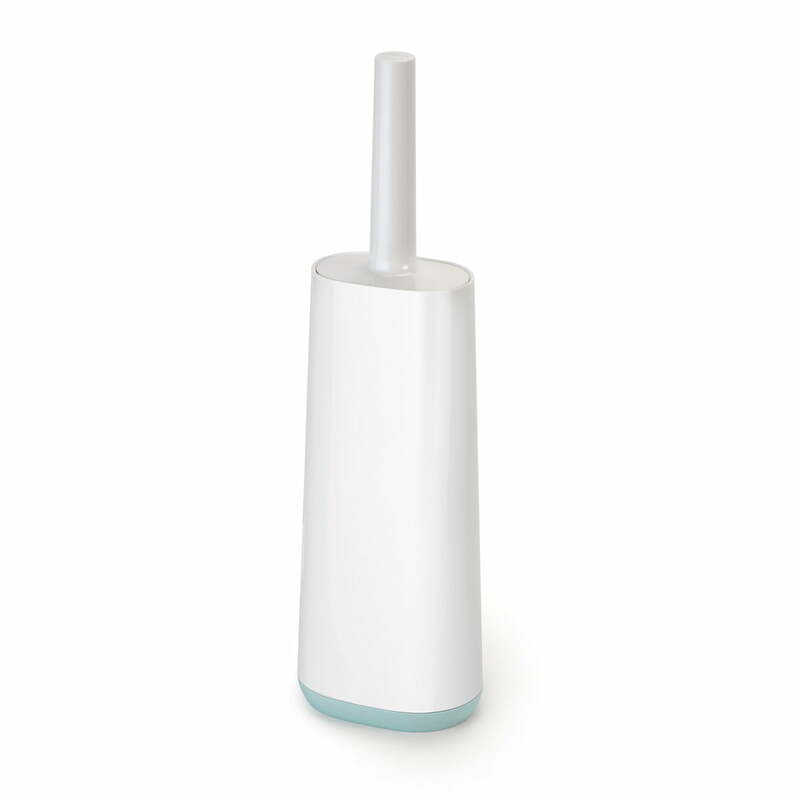 Discreet but still handy, the most important tools for toilet cleaning are always at hand yet stylishly stowed away. 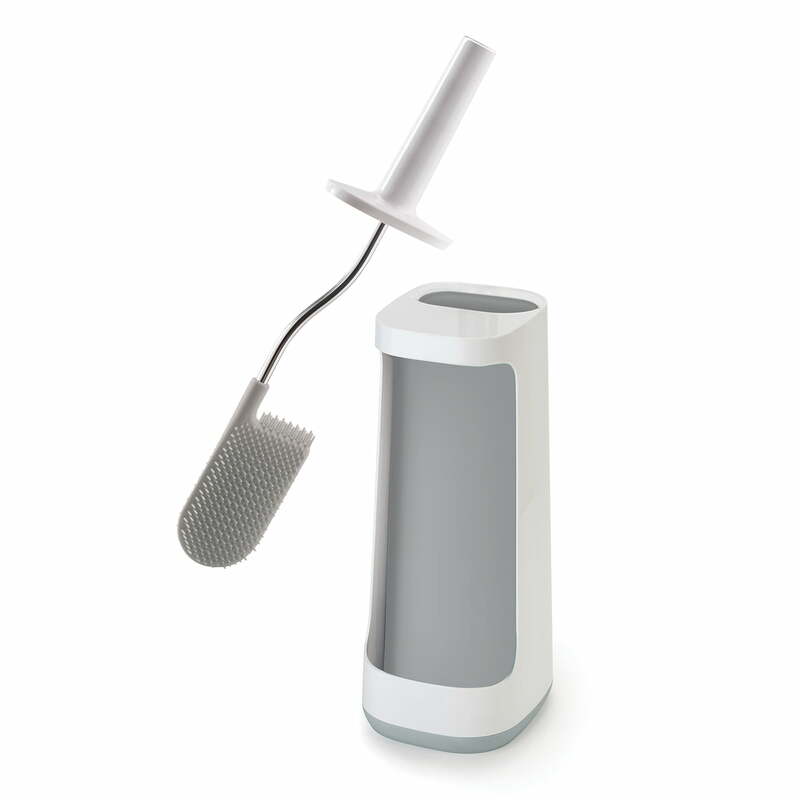 Isolated product image of the Joseph Joseph - Flex Smart Plus toilet brush. The simple design fits perfectly into any environment and is it clean and minimalistic. Isolated product image of the Joseph Joseph - Flex Smart Plus toilet brush in blue. Discreet but still handy, the most important tools for toilet cleaning are always at hand yet stylishly stowed away. The Joseph Joseph Flex Smart Toilet Brush is a revolutionary bathroom accessory that effectively and hygienically cleans the toilet with its unique, flexible brush head. Lifestyle product image of the Joseph Joseph - FlexSmart Toilet Brush. Thanks to its short bristles, no dirt or excess liquid remains on the head, thus preventing annoying drops between use and storage. Isolated product image of the Joseph Joseph - Flex Smart Plus toilet brush. The Flex smart toilet brush is available in two different versions, one of the models featuring an integrated compartment at the back for cleaning agents. 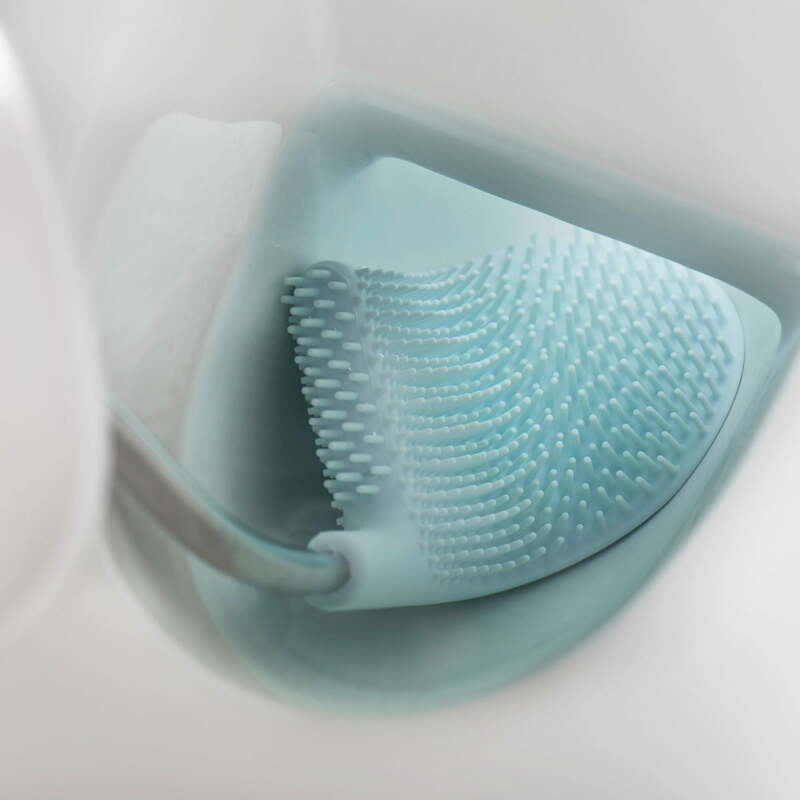 Detail product image of the Joseph Joseph - Flex Smart Plus toilet brush. 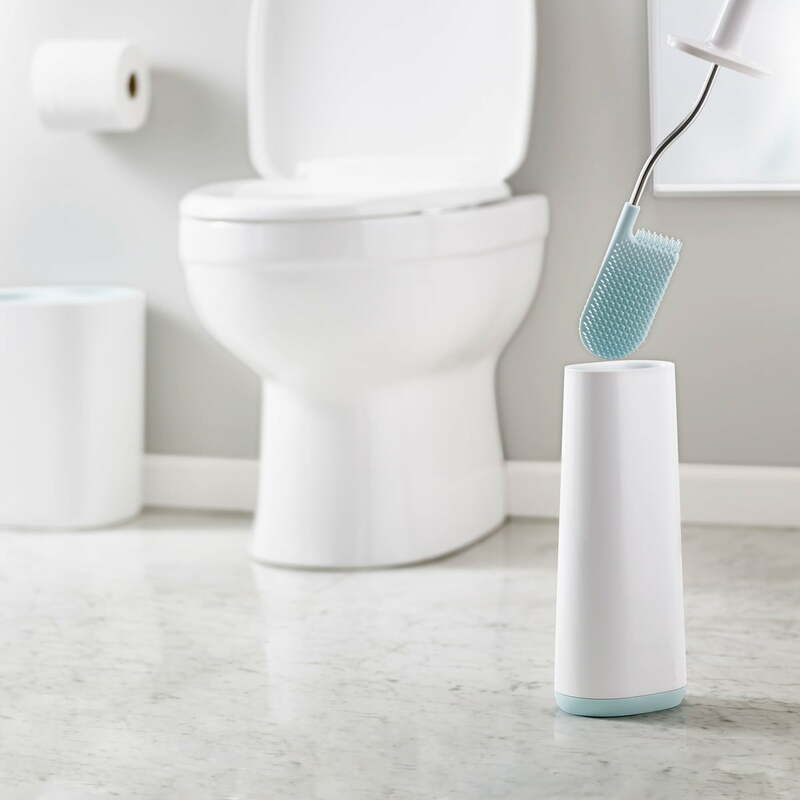 The Flex smart toilet brush by Joseph Joseph is a revolutionary bathroom accessory that effectively and hygienically cleans the toilet with its unique and flexible brush head. 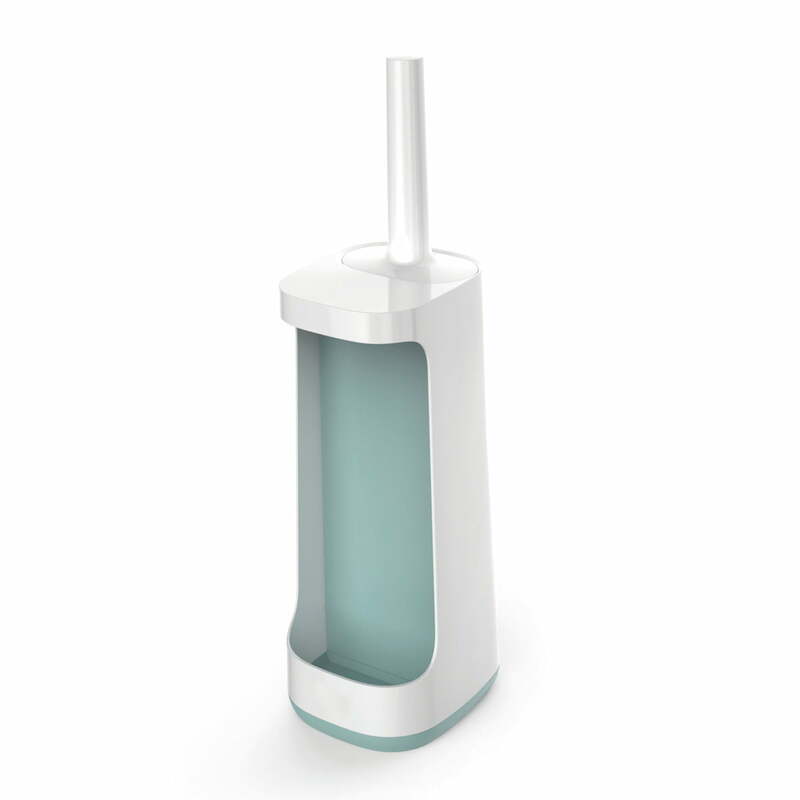 Isolated product image of the Joseph Joseph - Flex Smart Plus toilet brush. Unlike conventional toilet brushes with which you can struggle to reach some areas of the toilet and that show signs of wear, the FlexSmart brush has practical functions that solve these problems. 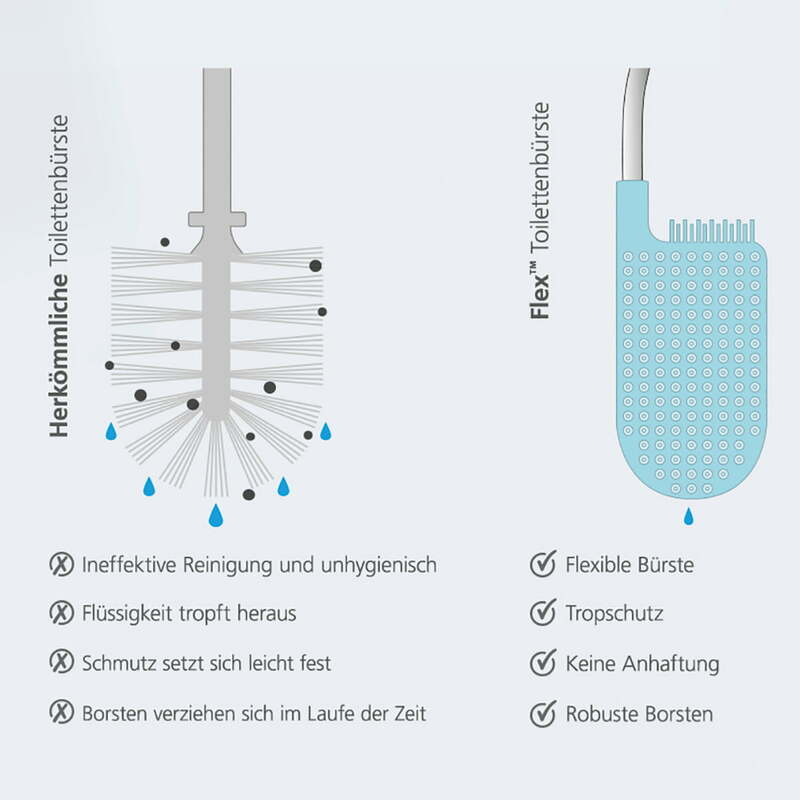 Isolated product image of the Joseph Joseph - Flex Smart Plus toilet brush. Thanks to the flexible, D-shaped head and fine bristles, the hard-to-reach parts of the toilet bowl are now easily cleaned with the brush.